ICORD’s 12th Annual Research Meeting took place on March 3rd and 4th, and by many accounts, was our best yet. 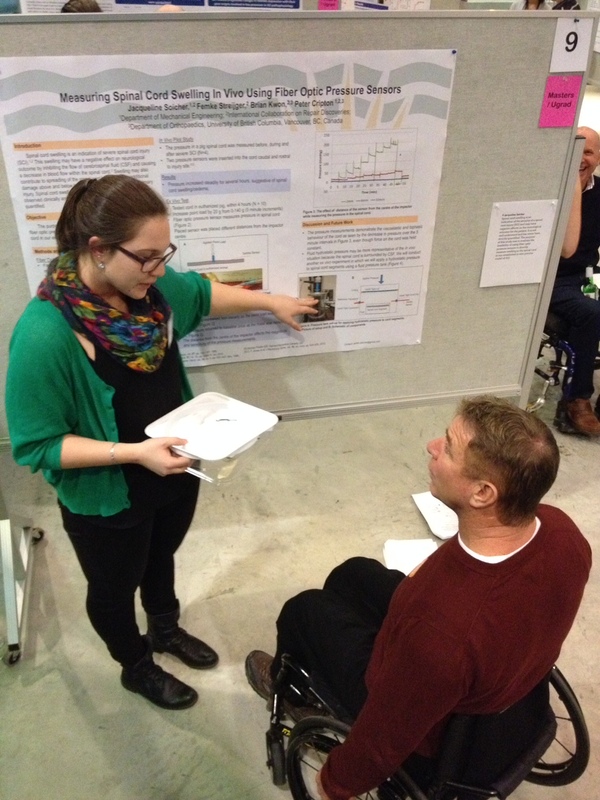 With more than 150 participants, 3 visiting speakers, 40 posters, 12 talks by ICORD researchers, and a special appearance by Rick Hansen, there was lots of SCIENCE and enthusiasm in air. Drs. 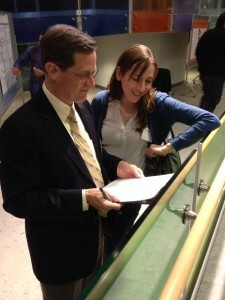 John Houle and Victoria Claydon judging posters. Winner, W.L. McLeod Award for best poster by a trainee at the Masters or undergrad level: Mei Mu (Annie) Zheng, Krassioukov lab. Winner, Aaron Moser Prize for best poster by a trainee at the PhD level: Diana Hunter, Ramer Lab. All from the Krassioukov lab! 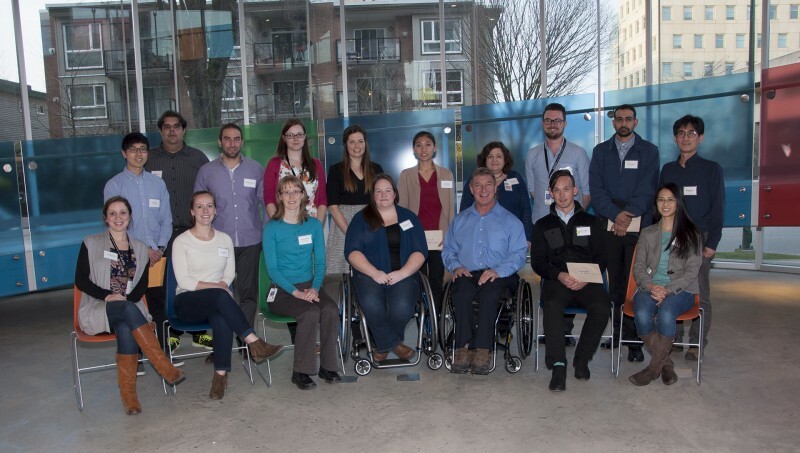 Poster winners and Spinal Chord Awards for Staff Excellence winners with Rick Hansen after the meeting. Back row (L-R): Franco Chan, Matt Sahl, Steve Mattucci, Diana Hunter, Katharine Currie, Annie Zheng, Elena Okon, Jordan Squair, Parry Mudhar, Mincheol Joo. Front row (L-R) Jacqueline Cragg, Freda Warner, Peggy Assinck, Rick Hansen, Aaron Phillips, Kitty So.